It appears The Charlatans have a bit of an alternative radio hit on their hands. Love is Ending has debuted at number one on some alt charts a couple weeks in advance of the new full-length Who We Touch out September 14. It's the biggest, loudest song we've heard from The Charlatans in a while - a nice feat 20 years after their debut album Some Friendly was released. I'm geeked. The Wilderness Downtown - an extraordinary new interactive video by Arcade Fire set to their tune We Used to Wait. It's extraordinary on several different levels. It uses the power of HTML5, Google Chrome, and Google Maps to deliver a visual experience unlike any other yet experienced in the post-Music Television world. It's gimmicky, but it's not a gimmick. 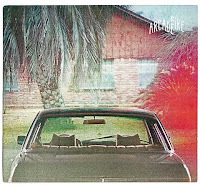 Thematically the "video" fits the song and really the entire Arcade Fire album The Suburbs. Fantastic. Close your other programs and open Chrome if you're not already using it (Firefox would likely work too). MTV be damned! 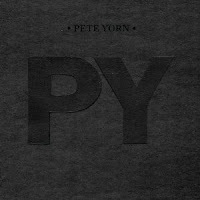 Pete Yorn offers another free track from his upcoming self-titled, Frank-Black-produced album (available 9/28). Take a stroll back to your childhood in your Velcro Shoes! It seems appropriate on a day I wear my Dr. Martens I would happen to come across a video and MP3 of The Raveonettes covering The Stone Roses' I Wanna Be Adored. This very faithful cover version is in honor of the iconic footwear maker's 50th Anniversary. Enjoy. 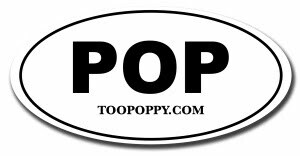 I never set out for Too Poppy to be a music review blog, but when something trips my trigger I feel the urge to share it. Here are just two I've neglected sharing for too long now with more coming soon! The stellar third album from the Minneapolis singer-songwriter. 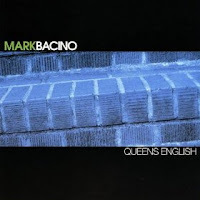 Definite Beatley / Brit Invasion vibe, particularly on the first few tracks, yet tempered with an edgy folksiness you might hear on a Jon Auer solo release. 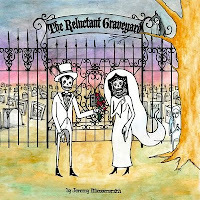 A macabre delight set to the cheeriest of tunage. Chicago-based power pop trio - need I say more? As a music lover who spent my formative years in Chicagoland at the height of Material Issue's brilliance I must say more and to do so I will employ several Too Poppy approved adjectives: catchy, crunchy, rollicking! 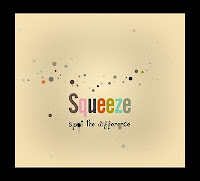 GGG delivers catchy three-minute gems filled with crunchy guitars that will leave you rollicking. I gotta believe they put on a helluva live show. This is a must listen for fans of The Replacements and even Nirvana who occasionally lust for pure pop amid the din. The album comes in a bit long at 18 songs and would have made an incredible 10-song, 30-minute album, but kudos for ambition, boys. Fistful of Mercy is Joseph Arthur, Ben Harper & Dhani Harrison. Wow, what an embarrassing wealth of talent wrapped into one entity. Still can't get over how much Dhani looks like his pop. The Posies are touring with Brendan Benson in what is most certainly a match made in Too Poppy heaven! 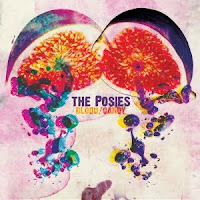 The Posies' Blood/Candy is out September 28. Check out a new U2 song called Every Breaking Wave performed live in Helsinki a couple nights ago. The new album Songs of Ascent is somewhat of a companion album to No Line on the Horizon. It's still unclear when it'll be released. Rolling Stone reports U2 is also working on a "rock album" and a "club-sounding" album in addition to Songs of Ascent and some Spider-Man musical nonsense. U2 also announced today U2:DUALS, a collection of collaborations exclusive to subscribers to U2.com. Give 'em credit, they seem to deliver on the paid subscription for hard-core fans. Stream Eels' new album Tomorrow Morning at TheirSpace until you can buy it - tomorrow morning! Apple Corps Ltd. and EMI Music are pleased to announce that The Beatles’ original 1973 compilations, 1962-1966 (‘Red’) and 1967-1970 (‘Blue’) have been digitally remastered for worldwide CD release on October 18 (October 19 in North America). Both 2CD packages include expanded booklets with original liner notes, newly written essays by Bill Flanagan, and rare photos. So there you go. Completists are already wetting themselves at the opportunity to shell out more bucks to Apple Corps and EMI. No word on digital versions, but don't hold your breath. 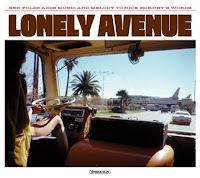 This special deluxe edition of Lonely Avenue includes the album on CD, four short stories by Nick Hornby, and 15 images by acclaimed photographer Joel Meyerowitz, all in a hardbound, 152-page book. 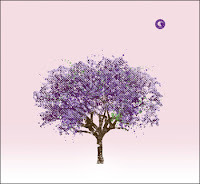 Orders include downloads of the album as high-quality, 320-kbps MP3s starting release day. Pre-orders include an exclusive, limited-edition Folds/Hornby-penned manuscript score from the album track "Picture Window," a number of which will be signed by Ben and Nick. Check out the preview video below. I'm liking what I'm hearing! Lonely Avenue is out September 28. One of the greatest joys in life is "discovering" a band no matter how old or new. Do you remember the first time you heard The Beatles? How about Jellyfish? Two defining bands in my life and I remember vividly those first few moments of discovery. The A.V. Club's Better Late Than Never? column documents such discoveries that arguably should have come much sooner in life. The latest is Big Star, a band I didn't discover until college when I realized virtually every band I loved called Big Star a primary musical influence. This author was turned on to them for tragic reasons, but gives us a glimpse into what it's like to discover. I've listened to a lot of music through the years so discoveries of past greats are becoming rare. Thankfully my son is ripe for learning the ways of Too Poppy so I can live vicariously through his ears. Nothing is more amazing than seeing your 7-year-old's eyes light up while listening to the music you love on his iPod! I'm not sure he's up for Big Star quite yet, but he'll get there! Well not that this is a shock to anyone, but Yoko Ono is the holdout on the Beatles' digital distribution. "We are holding out," Yoko Ono, told Reuters Thursday. "Steve Jobs has his own idea and he's a brilliant guy. There's just an element that we're not very happy about, as people." She further told people to not "hold their breath" for anything. I wonder what the story is on the element she's not happy about. You've got to believe Steve Jobs is pitching something really different and innovative around a digital launch of the Beatles' music. I have the recently released boxed sets so a digital release for me is about letting the younger generations discover their music. It will happen eventually. Hurley will focus on the melodies and major chords of traditional '60s pop. In addition to the planned first single "Memories," other new tracks include "Ruling Me" and "Hang On," another pop-rock track that "sounds like Frankie Valli but mixed with Metallica guitars." Love the sound of all that. Love the old Weezer and the occasional new flash of brilliance, but this has Too Poppy potential all over it! Chills! The first tune from The Posies' upcoming Blood/Candy has emerged courtesy of Spin and it is epic. "Licenses to Hide" is emblematic of the new album's adventurous attitude, with a dizzying amalgamation of parts, not unlike a piece of musical theater. After opening with a somber, piano-led musing, where Stringfellow delivers a line about "feeling so old" backed by the Posies' trademark, chill-inducing harmonies (with an assist from Broken Social Scene's Lisa Lobsinger), the track veers into both '70s arena rock (think Styx, in a very complimentary way) and a Billy Joel-like, storyteller-style chorus. Hmm, Styx? Billy Joel? How about Jellyfish?! Seems to have a totally different sound than what you'd expect from The Posies, but really, it's not that far off. Now I'm very excited about Blood/Candy - out September 28. Stream it only at Spin. The Posies' Ken Stringfellow has heard R.E.M. 's new album and calls it "very old school." Accelerate seemed to be somewhat of a throwback as well but it just never stuck. We'll see about the new one! Guster wants us to get psyched about the new album Easy Wonderful out October 5. Guster has already given - yes, given - us one new, awesome tune: Bad, Bad World. 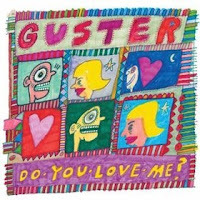 Guster is now offering the first official single from the album: Do You Love Me? Guster has me psyched. Me gusta Guster.